This may be a little hard to contemplate not in terms of understanding what China is doing but rather, what it aims to achieve with this. It seems to be that regulators in China have frozen the approvals of game licenses, which as you can guess seems to put, Chinese Gaming Industry into a big disarray. This halting of licenses seems to be followed by restructuring of power management across various departments, this apparently comes from some authentic sources but due to legal terms, they do not want their names to be marked. Now the reason for the halting of the licenses among various others as well is also the rising gambling in some of the games and they want to be able to cater to that. Now it has been a while since this the regulator took this step and by now some of the major companies in the Chinese Gaming Industry alongside international companies, have started to feel the heat. The game companies, starting from the online giant Tencent Holding Ltd. to small developers are waiting for approvals. Talking about Tencent, it seems to be that Tencent is already going to a rough patch and now this seems to have stirred a lot of tension for them. Tencent is said to have plunged its shares of more than 150$ bullion in the market value since January. So now with a halt on licenses, things seem to not be in favor of the company. While you process this, let us add more to the fire. The Chinese government has issued a full ban on games developed by South Korea since last year. Apparently, over this time, nothing seems to work and the ban is still at play, which has left South Korean devs still in the black, with not being able to obtain new licenses. Moreover, this is not the only ban by China, very recently another ban was introduced on Micron Technology DRAM Manufacturer which seemingly has something to do, with the US if you are getting the bigger picture. 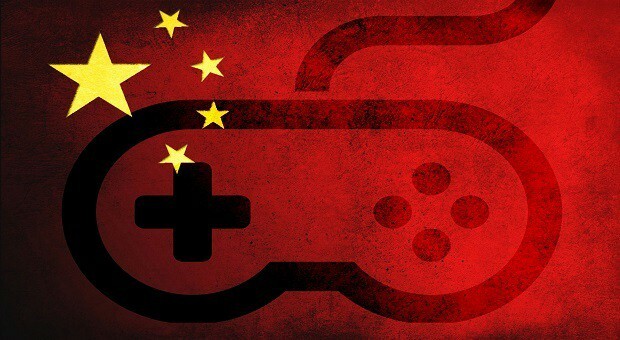 So keeping everything in context these apparent moves by the Chinese government are proving to be, more harmful to the developers and publishers as well as for the Chinese gaming industry, as well. The Chinese government will have to manage this very soon, otherwise, their gaming industry may suffer a huge damage at this rate.